This is one of my all time favorite discoveries! I was looking for ways to build Andrew’s pincer grasp for handwriting and began using tweezers because they require using the same fingers and muscles for grasping a pencil. 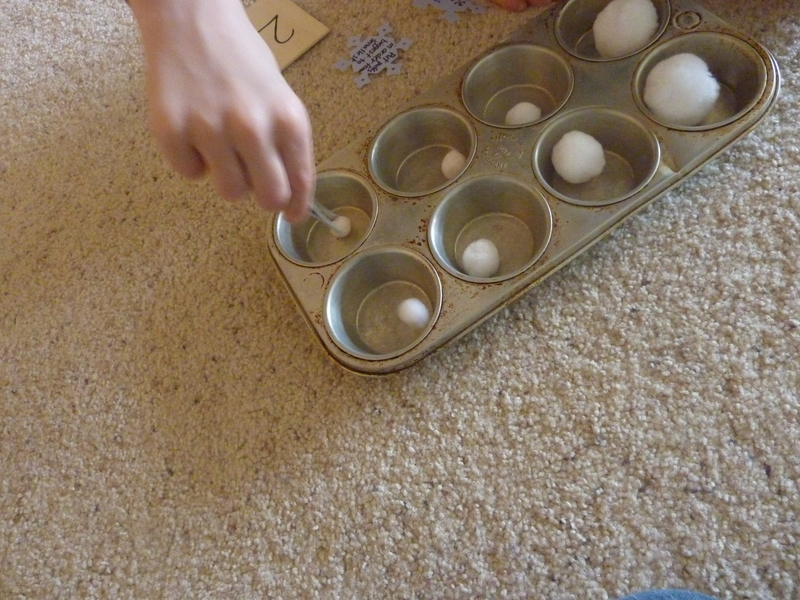 I paired the tweezers with colored puffs in different sizes because he would have to squeeze his fingers differently depending on the size of the puff. At first he would put the puff in the tweezers with his other hand and I had to help him using hand over hand. While it seems really easy, it was actually a challenge for him (and still is). I came up with some basic stories to go along with needing to move the puffs to make it more purposeful than just moving puffs from one place to another. Most of the stories involve reuniting baby animals (small puffs) with their moms (larger puffs). You could also place different colored puffs out or in the container and have them only take out a certain color or size. I like to place the puffs in shredded paper to add a bit of a challenge. 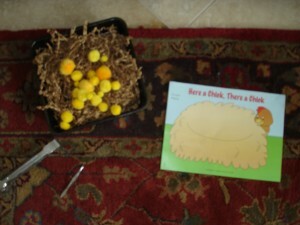 My Obstacle Course Station Activity: Use the tweezers to help the baby chicks get back to their mother hen. 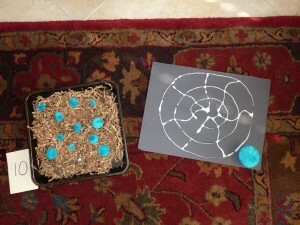 My Obstacle Course Station Activity: Help the baby spiders get back to their mom's web using tweezers. 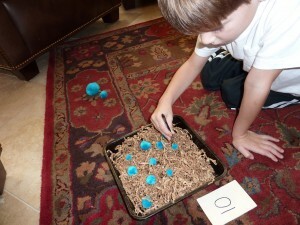 My Obstacle Course Station Activity: Use the tweezers to help the baby spiders (aka small blue puffs) get back to their mom (aka large blue puff). Andrew using the tweezers to put puffs in order from biggest to smallest. 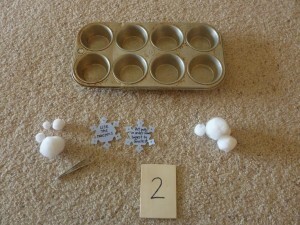 Sometimes it just takes thinking outside of the box with items you already have and coming up with a simple story to make an activity that a child will find purpose and meaning in doing.